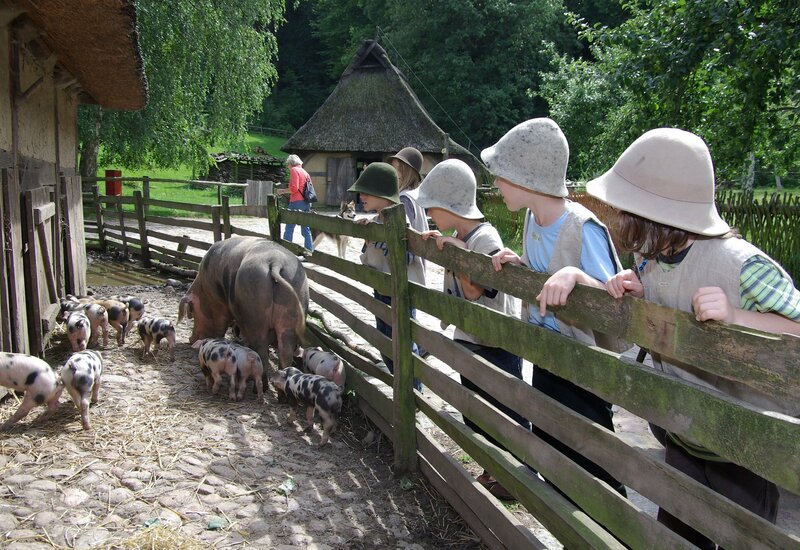 Hamburg is a child friendly city and a perfect destination for a getaway with the kids. The parents of babies and toddlers will appreciate that most restaurants have high chairs and nearly every drug store has a changing table equipped with free diapers. Older kids and teenagers will have a blast exploring the exciting playgrounds and diverse attractions. The best way to begin exploring one of Europe’s biggest harbour cities is from the water. Boat trips on the River Elbe begin from the Landungsbrücken and you’ll be spoiled for choice – there are barges, sailboats and speedboats to choose from, and even a swimming bus. A budget friendly alternative can be found in the round-trip routes offered by HADAG ferries, part of the city’s public transport system. Boat trips on the gorgeous River Alster and the city’s picturesque lakes and canals begin from the Jungfernstieg in the centre of the city. The Germans know how to do playgrounds right and Hamburg is no exception to this rule, counting over 740 public playgrounds – there’s one in almost every park. The biggest one lies in the Planten un Blomen park in the heart of the city and is especially beloved because of its exciting water attractions. Nearby there’s also mini-golf and a rollerblading / ice skating arena. A special ambiance can be found in the Grasbrookpark playground in the HafenCity, surrounded by modern buildings and close to passing ships. The Miniatur Wunderland is likely one of the most unique museums on the planet. It holds the Guinness record for the world’s largest miniature railway but this fact just scratches the surface of treasures in this unforgettable attraction. 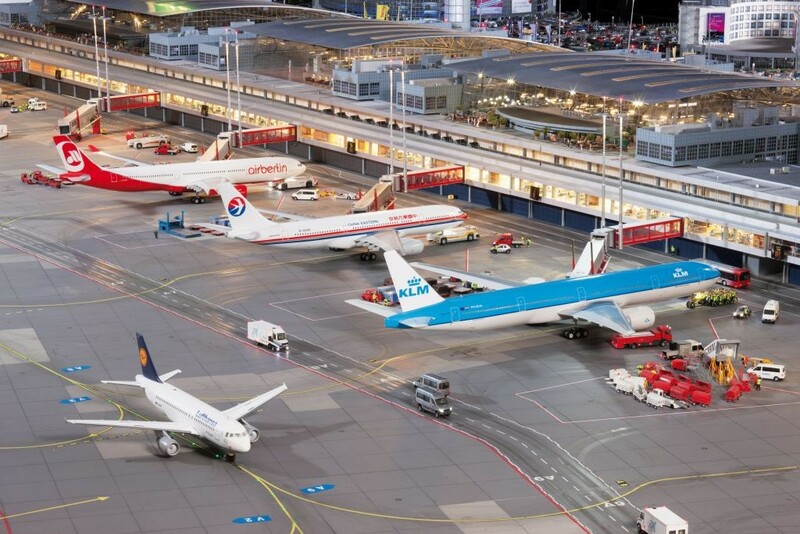 Its nine theme worlds are inhabited by over 260,000 figurines and include magnificent buildings, an airport with planes that take off and land, an erupting volcano, and ships that float in real water. Over 200 push-buttons allow the visitors to interact with the scenes; for example, by producing a gold-wrapped treat from a miniature chocolate factory. Opened in 1907, the Tierpark Hagenbeck was the first zoo in the world that used open enclosures instead of cages. Today it is home to over 1,850 animals representing species from five continents. Some of the highlights for kids are the giant polar sea (‘Eismeer’) with penguins and walruses, a petting zoo, large play areas, pony rides and one of Europe’s biggest elephant herds that can be fed from the palm of your hand. Adjacent to the zoo is the Tropical World Adventure Aquarium with underwater habitats brimming with life, coral reefs, a large crocodile pond, a world of caves, and more. Animals of a different kind can be seen at the Zoological Museum in the university district. The museum’s collection includes lifelike animals from around the world: bears, tigers and crocodiles, and countless birds and sea-dwelling creatures, including impressive whale skeletons. The Zoological museum doubles as a learning space for school and university students, and serves as a venue for art classes. Its central location and free admission make the museum a perfect family activity for a rainy day in Hamburg. In the hills in Hamburg’s south lies the beautiful Schwarze Berge wildlife park. Upon entrance you’ll be welcomed by the free-ranging potbellied pigs, waiting to get a snack and a back rub from passersby. 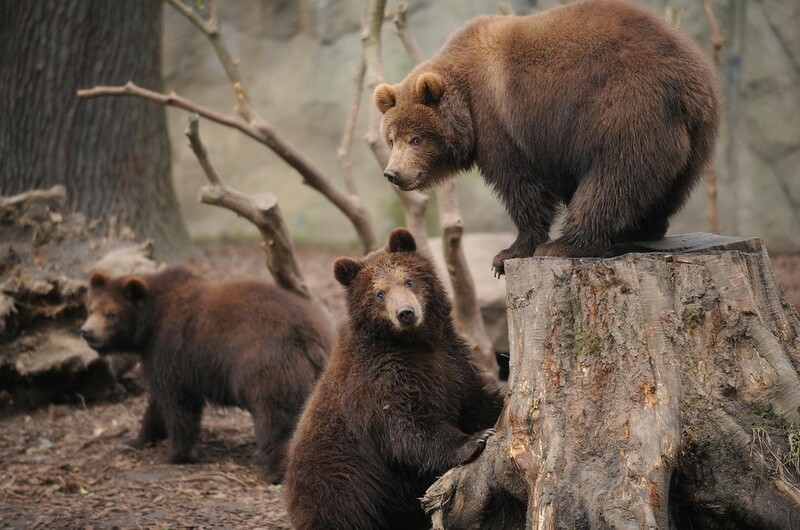 Go deeper in the park and discover around 100 species of native animals, among them bears, wolves, and lynxes. 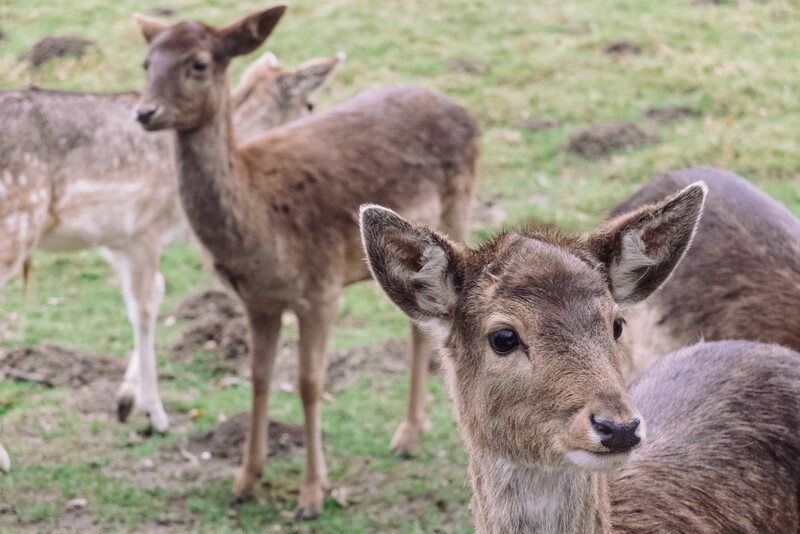 Enjoy the tranquil forest and the fresh air, feed deer from the palm of your hand and watch a flight show of birds of prey. Kids of all ages will also love the park’s adventure playground. Next to the wildlife park you’ll find the Kiekeberg open-air museum. Together the two make an excellent day trip in nature – consider buying the discounted combined ticket. Across its 40 historic buildings, gardens and fields, visitors experience life from the early 17th to the mid-20th century. Kids will love the hands-on exploration stations scattered throughout the vast area, especially the water adventure trail and the water playground. Throughout the year the museum hosts a variety of themed children’s adventure weekends with arts and crafts workshops. The children’s museum KL!CK is a unique place where kids learn about the world by playing and experimentation. There are areas for building with diverse materials, a workshop for making and spending money, experiencing the Stone Age, learning about the body and the senses, and more. Regular travelling exhibitions ensure that the museum remains exciting no matter how often you visit. No child is too young for enjoying KL!CK as there’s a special area for kids under the age of two. On Saturdays the museum hosts children’s birthday parties and is closed to other visitors. 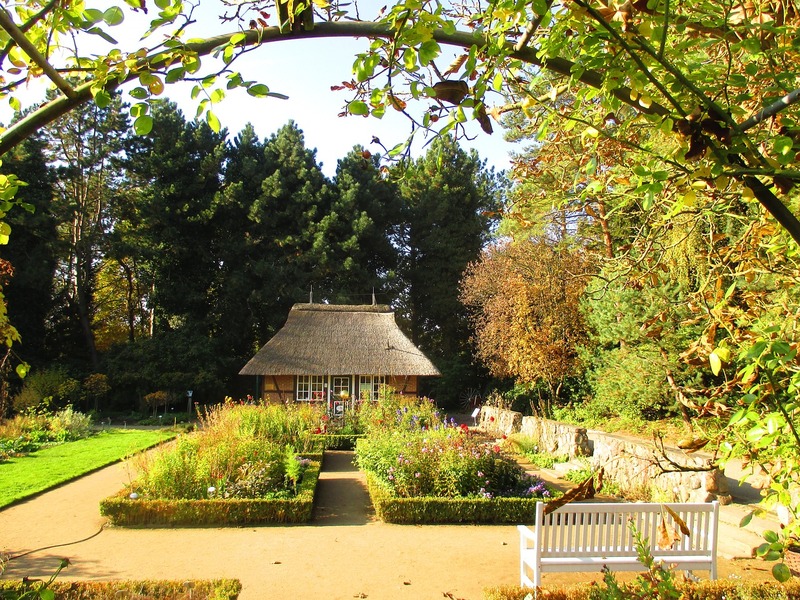 The botanical garden, also known as the Loki Schmidt Garten, is one of Hamburg’s most beautiful parks away from the hustle and bustle of the city centre. Opened in 1979, the 25 hectare (62 acre) garden is managed by the University of Hamburg and is accessible year-round and for free. One of the gardens is organised by the evolutionary relationship of the plants, another by their geographic origin. A further five sections are themed by the use of the plants, from farmer’s garden to pharmacy garden. Throughout the park, visitors are not only allowed but encouraged to explore, touch and smell the many flora and fauna on offer. No matter if in summer heat or the middle of winter, going swimming is always a good idea. Across the city there are numerous excellent indoor and outdoor swimming pools. The Festland boasts the largest water play area in Germany, adorned by giant dinosaurs. The elegant historic Holthusenbad, opened in 1914, offers a wave pool and a water playground. A special Hamburg experience is the outdoor pool at the Stadtpark lake complete with a sand play area for kids.